i am originally from Allen, Texas.. and lookin for somewhere to burn some tire when i get back in my s14.. if anyone knows of some places lemme know if you would. PM me and I can give you a few spots in the Houston and Austin areas. where at in japan exactly? and there is always mineral wells events. just a question, how much would it cost to move to japan? haha small world, i just moved from oki (camp Foster) about 2 years ago. mom was military so we lived there for 3 years, it was awesome, i miss it a lot. so no places to drift in dallas area.. dallas / plano area rather... no construction areas? no old airports...? 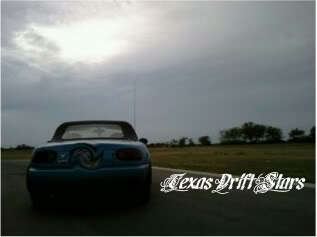 Tempnix wrote: so no places to drift in dallas area.. dallas / plano area rather... no construction areas? no old airports...? theres a warehouse they go to in plano, you drift on the open side facing the GB, last time i was there there weren't trailors, parking lot was pretty empty. but its enough space to get sideways. and then you also have this place, Big Town, has a lot of area to drift. if you havent already, you should register at http://dallasimports.net/forums/ as well, it's a more of alive forums, this site is pretty much dead, not even the owner comes on here that often., but yea they do the wednesday night meets over in plano, you should come out to and meet others, some drift,street race, etc. there's a badass spot in garland off of jupiter rd.